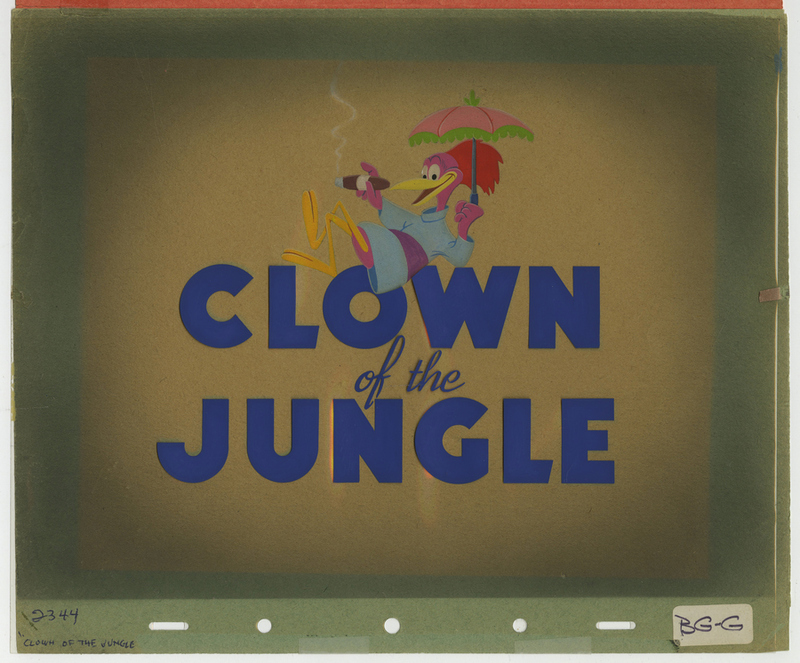 This is an amazingly rare original production title card from the Walt Disney Studios production of the Donald Duck short, Clown of the Jungle (1947). 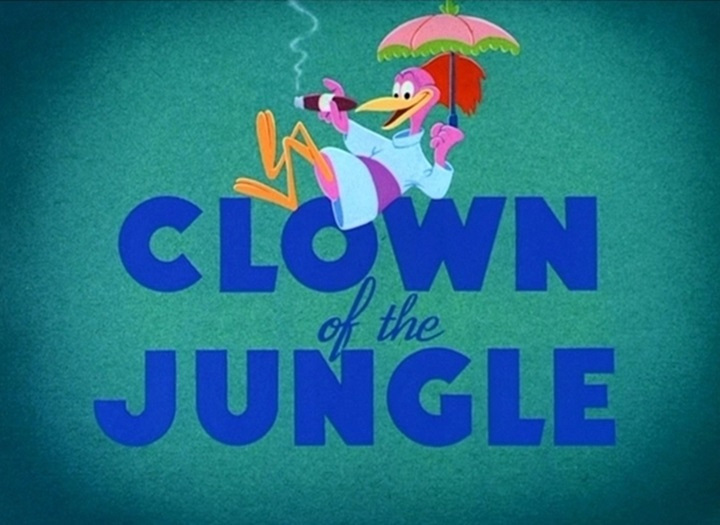 This hand-painted title card features the hand-painted cel featuring the film's title lettering, and also the hand- painted and airbrushed background layer featuring the Aracuan Bird with his cigar and umbrella in hand. 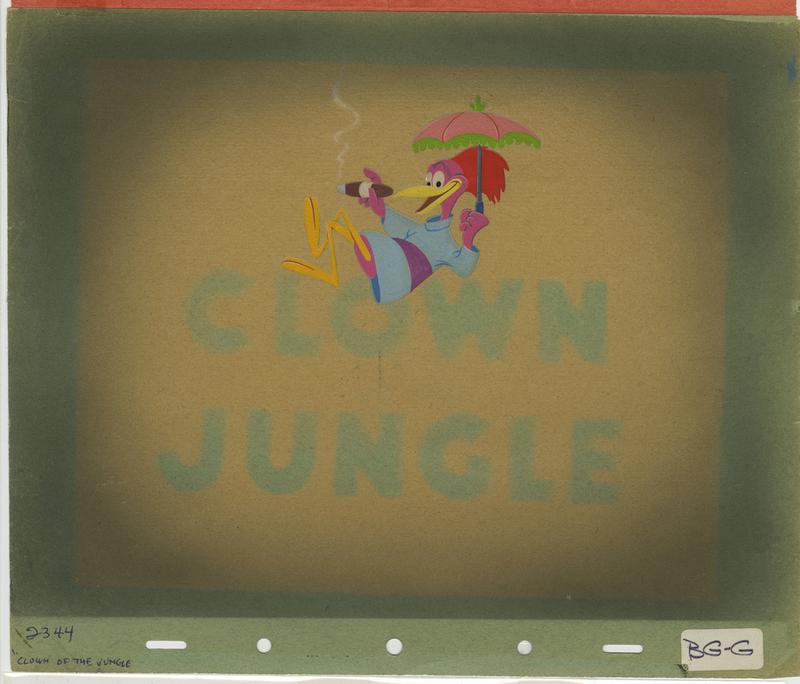 This setup was created at the studio and used during the production of the film. 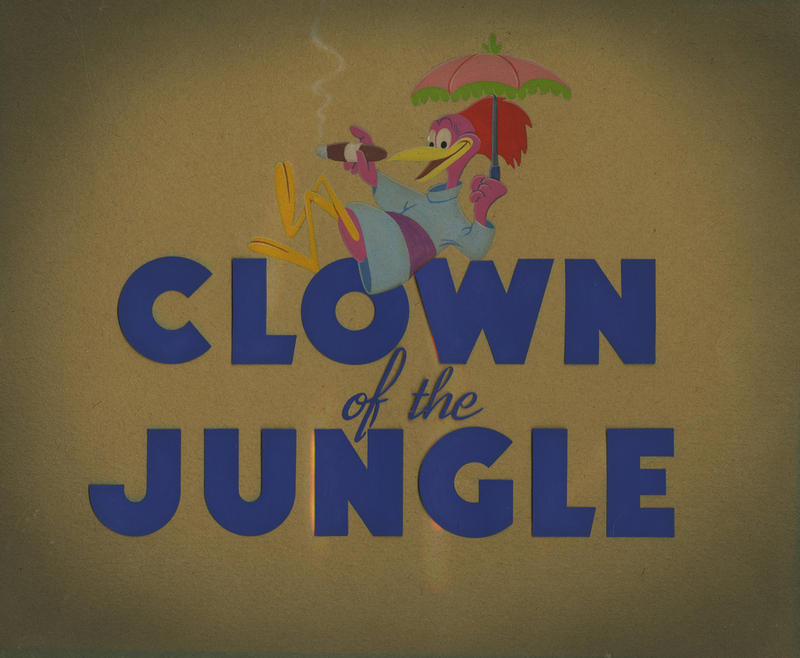 It is the singular piece created and photographed for the short which appears at the beginning of the short to show the film's title. 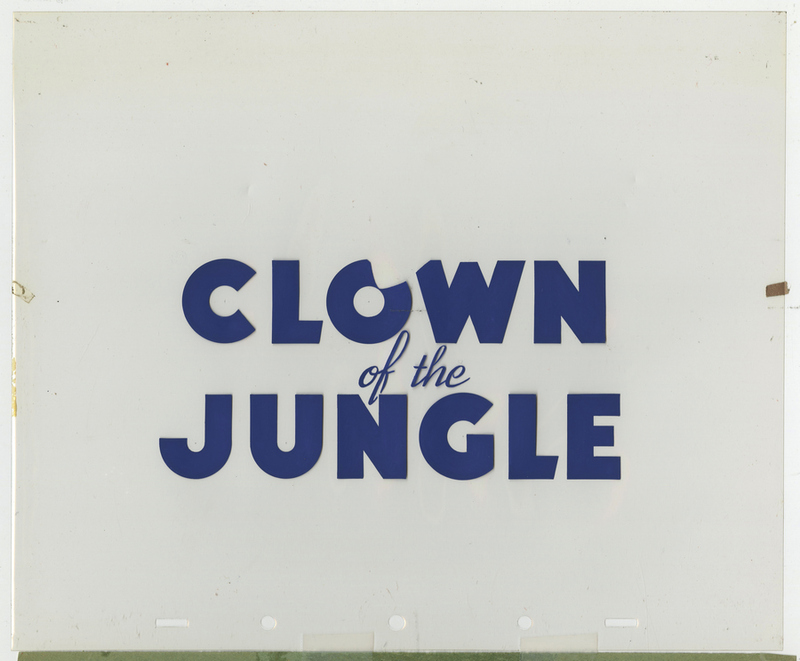 Title cards like this are extremely rare as there would only be one created for the entire film, so they are very visually appealing and highly sought after. 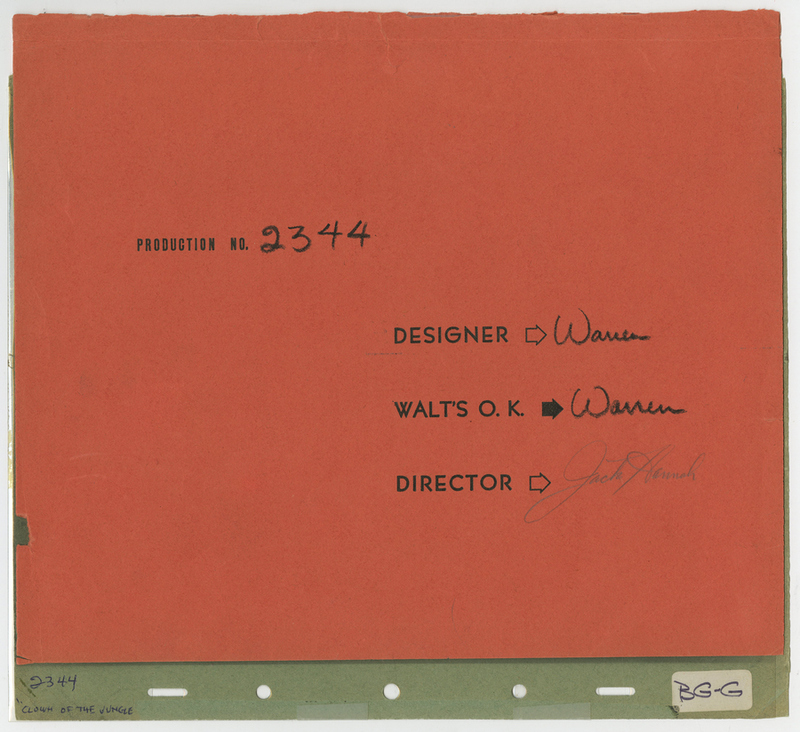 This particular title card still has the original studio approval cover/protection sheet attached to it which bears the approval signature of the film's director and Disney Legend, Jack Hannah. The overall measurements of the piece are 10" x 12" and the main image area measures 6.25" x 7.25". The setup is in very good condition with fading throughout the piece, but the paint is all in tact and in excellent condition.